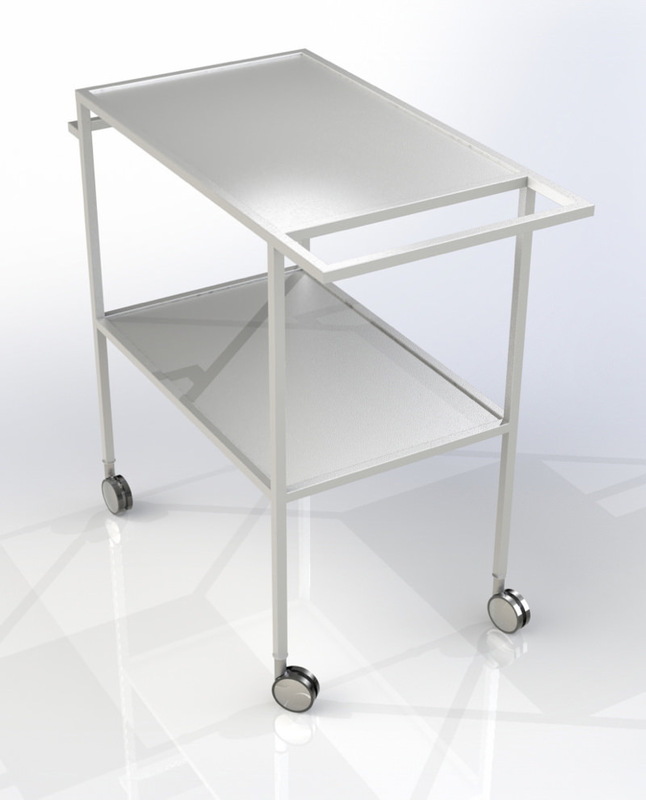 MODULAR: MINIMALIST AND CHARMING DESIGN FOR THE TROLLEY COMPLETELY MADE UP IN AISI 304 STAINLESS STEEL , WITH TUBULAR 2X2 CM. Minimalist and captivating design for the trolley made entirely of AISI 304 stainless steel, with 2X2 cm tubular. 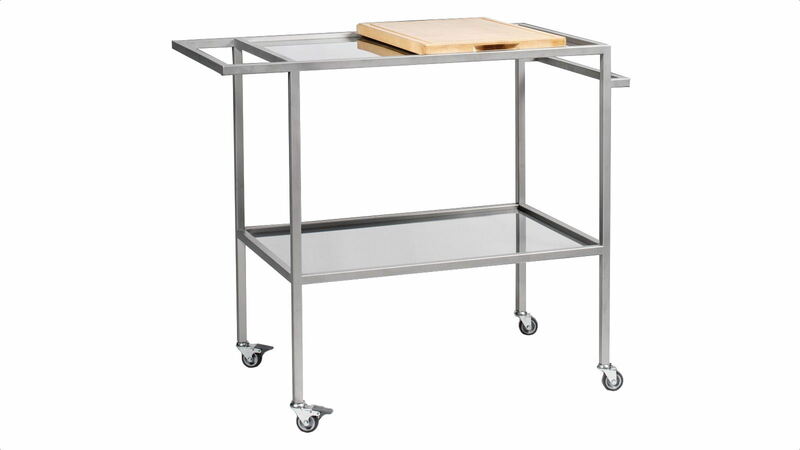 Very useful serving trolley, equipped with 4 swiveling wheels that allow it to be used both indoors and outdoors, it also allows you to prepare aperitifs and cocktails with the convenient solid wood cutting board and serve with style or continue cooking with the modern cooking top or even with the ever green barbecue. So many solutions for a kitchen that comes close to the living area for a modern and constantly moving house. Versatility, adaptability of products to household needs that change to broaden one's horizons the concept of kitchen beyond the simple set up room . The elegant design of the product, the minimal style and the versatility make it easy to combine with any style of kitchen. Possibility to compose the plan of your trolley according to your needs. ASSEMBLE YOUR STAINLESS STEEL KITCHEN AS YOU WISH! cod 0MGGPC0001 Simple, modern and functional, suitable for all your needs and always ready to help you in a comfortable and light transport from the kitchen to the living area. cod 0MGGPC0001 Equipped with solid wood cutting board finds its ideal location around the dining table with which ideally extend the same, leaving the diners free to eat in complete freedom. cod 0MGGPC0001 Equipped with the most modern induction hob. It permits to continue the cooking at any point in the house, it will become your most trusted companion in the kitchen and elsewhere. cod 0MGGPC0001 Equipped with an efficient electric grill, it comes in handy in an elegant and convenient way in every barbecue, be it at home or in the garden, you will come to appreciate its country and adventure spirit. ARE YOU A FURNITURE-MAKER OR AN ARCHITECTURE STUDIO?